Hi! 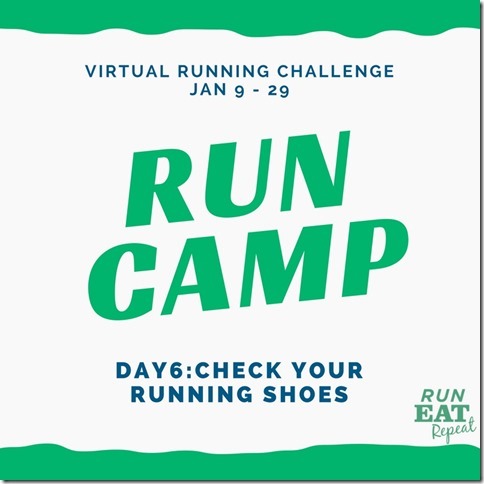 Today we’re talking about checking your running shoes. Is it time for a new pair? Are you wearing the right running shoe for YOU? But we’re also talking about food… Is it time for a snack? Yes. I broke into the bread I bought on the way home from the store today. It was necessary. I also hit up Costco for a few things and they had a few healthy samples. That barely ever happens! 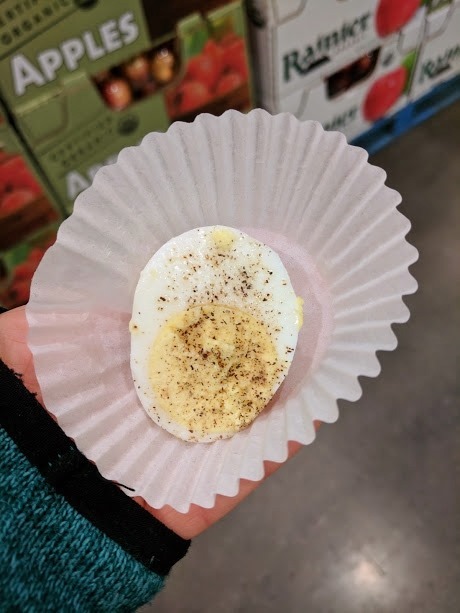 I grabbed a hard-boiled egg and an apple. Oh, and a chocolate muffin and cinnamon bread sample. 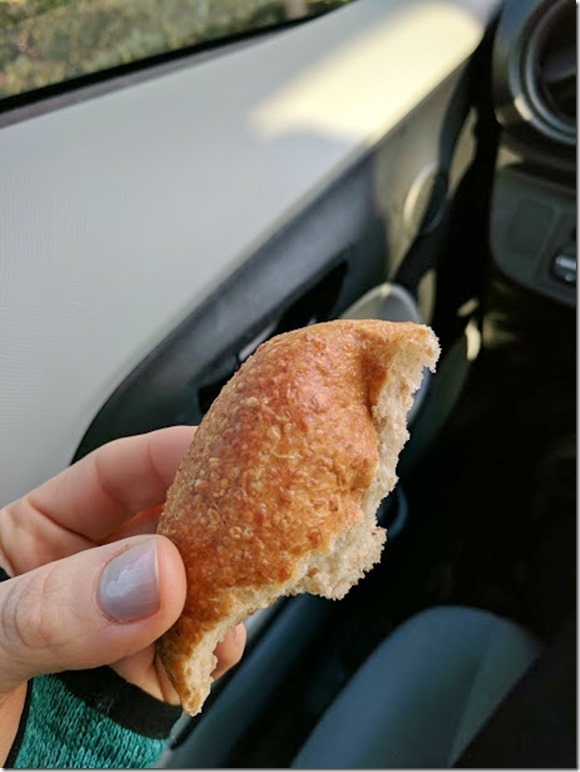 And super randomly last night I needed some sort of baked treat. Needed. 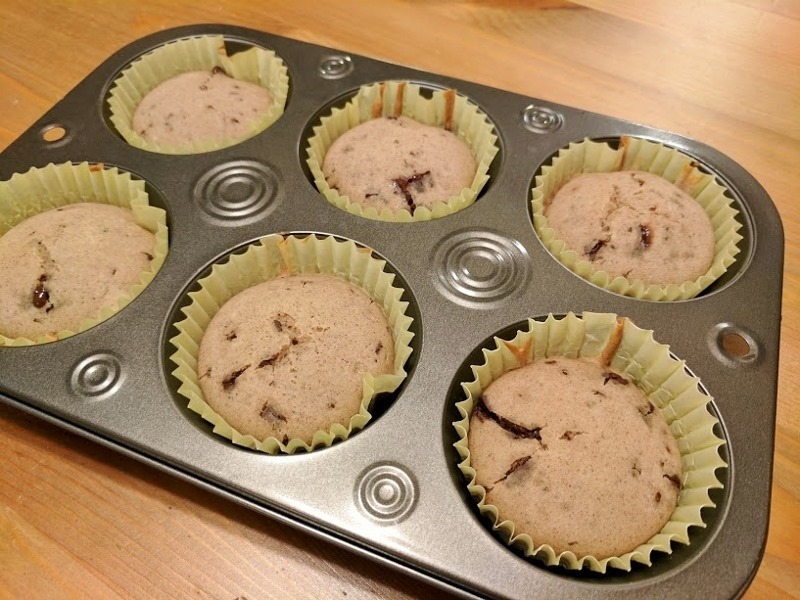 I make muffins with pancake mix and chopped up chocolate. They were good but completely stuck to the paper. Noted. 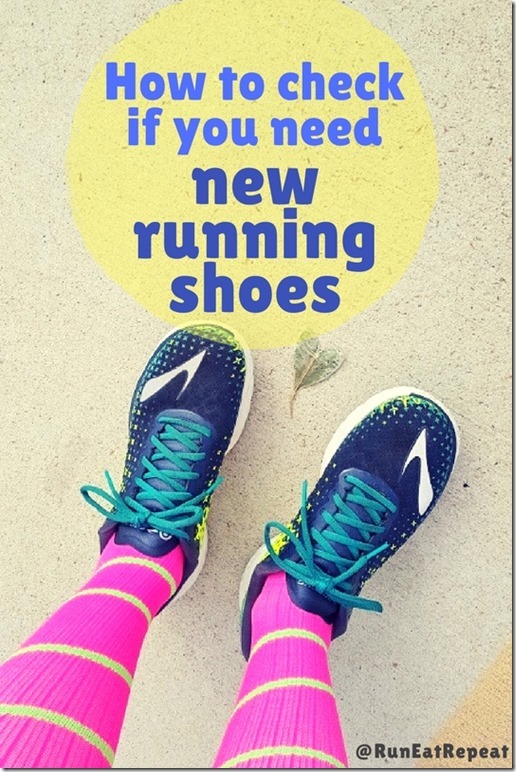 But I’m assuming you have the right running shoe for your needs. That doesn’t mean you’re off the hook. Nope. Is it time for a new pair? How are they wearing down on the bottom? Go ahead. I’ll be here. 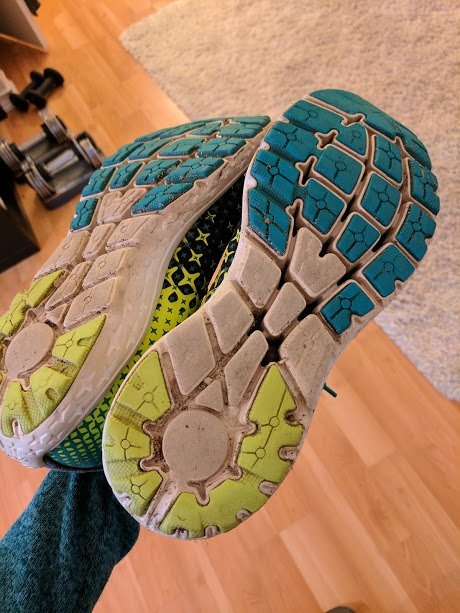 Checking the bottom of your running shoes can shoe you how much they have worn down and can give you insight on your foot-strike. 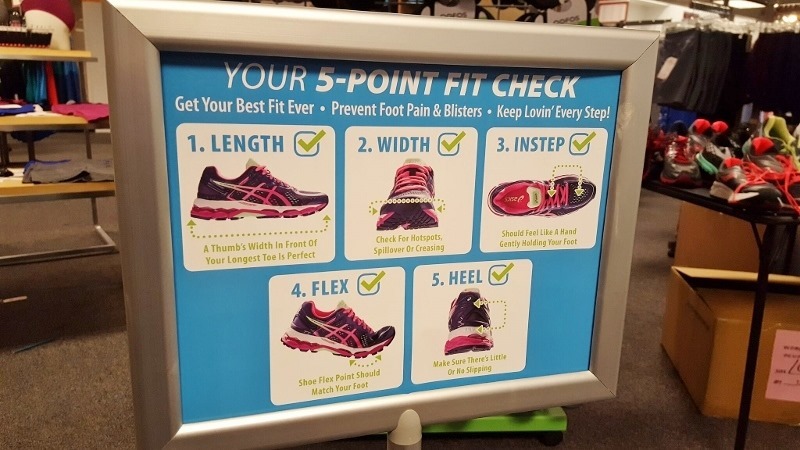 If you are having foot pain or other issues it’s a good idea to get re-assessed at a running shoe store. Once you have the BEST shoe for your needs you can shop around for the best price online. But if you’re not sure – go out and try on a few. Question: Do you have the right running shoes for you? Variety is fun! And shoe rotation is a must too. 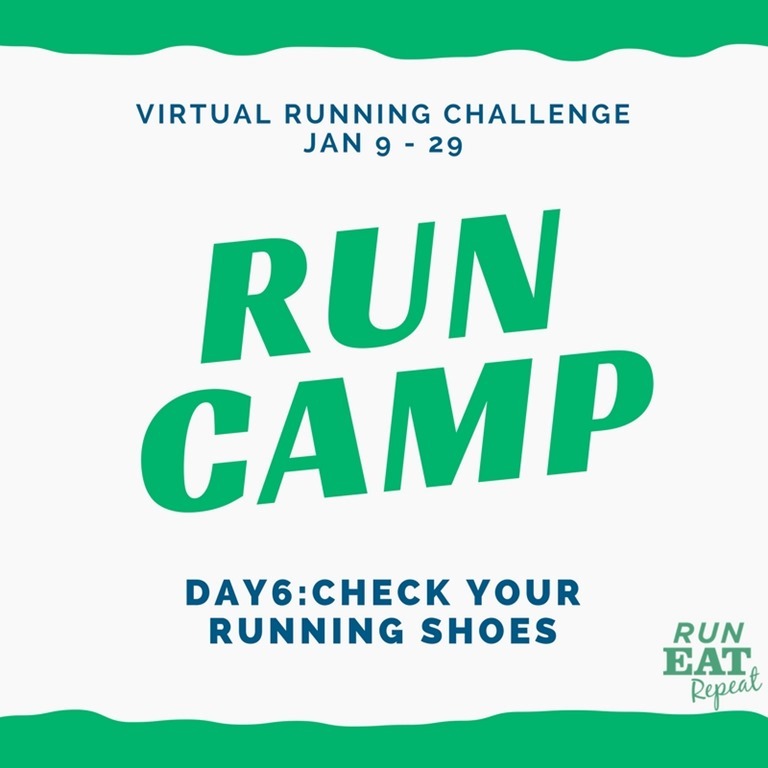 Having multiple shoes for a specific work out can help you prevent injuries and get more from your run. So go ahead and search for a new pair now! I have a few pairs in rotation right now. I like variety! My favorite shoe for my foot is the Asics Cumulus. I have had my strike evaluated a couple of times. Just to make sure things haven’t changed! 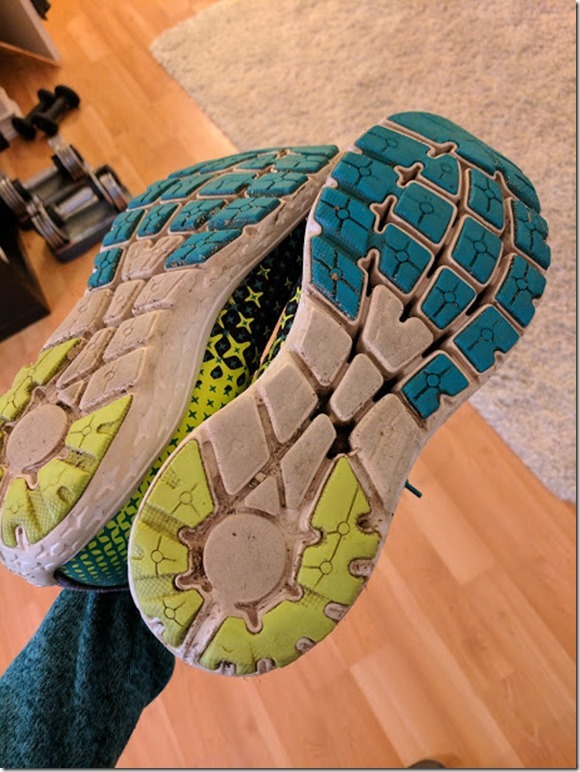 I track mileage on my shoes with DailyMile.com. Makes it really easy! 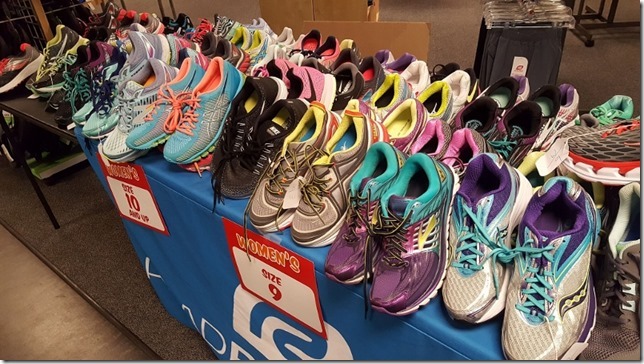 They told me at the Running store that the Brooks Ghost 8 are the right shoes for me. I’ve put 149 miles on them and I still don’t know how I feel about them. I mean, I really like them but I’ve been feeling aches that I didn’t have before with my Asics shoes. Once I hit the 300 miles I might go for an assessment at another place to see what they tell me.